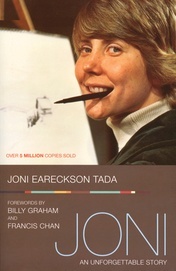 As a result of a diving accident which left her a quadriplegic, Joni moves from despair to triumph over disability. Be sure to read the companion book, A Step Further, which deals with her faith journey to reconciling the goodness of God with His refusal to heal her. Amy gives more than fifty three years of her life in south India founding Dohnavur Fellowship, a refuge for children in mortal danger. Mary, an innocent caregiver faces an unjust prison sentence while Steve, her friend and lawyer, works to appeal her case. I Survived: 5 Bible Characters Who Survived Spiritual Disasters is the companion Bible study book. Five missionaries give their lives as martyrs in an attempt to bring the gospel to a brutal tribe of warriors in Ecuador. Their families continue their legacy. Corrie and her family risk their lives for Jews during World War II and face time in Nazi death camps.